Gentleman are now few in these days. I would not believe on this for there are a lot of gentleman that still surrounds me but in one rainy jeepney, I was so disappointed with this man. It was raining and as expected, only few jeepneys are available in those times. I had been waiting in my usual spot just below the office for a jeepney. This particular man had been there already. Several minutes had already passed and several jeepneys had already passby but were full of passengers. One jeepney stopped and this particular man together with the two ladies were running and chasing after the jeepney. This man really push his way to get inside the jeepney just to secure his seat even if he was already bumping the ladies. The other lady was not able to secure a seat so she step down from the jeepney. 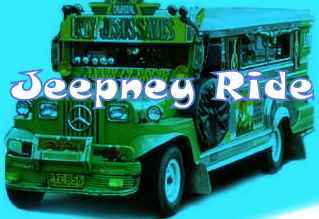 This shows only that in securing a seat inside the jeepney, expect that only few gentleman will arise.